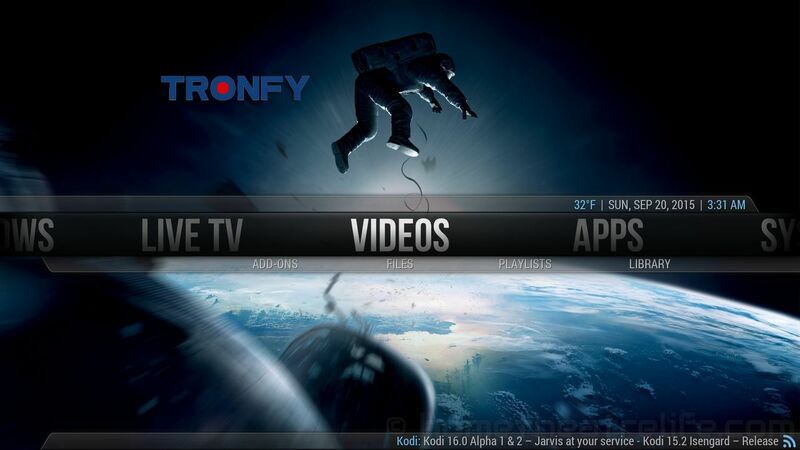 The Tronfy MXIV Telos is an Android TV box powered by the Amlogic S812 SoC and running Android 5.1.1. It also features 2GB RAM, 16Gb of storage, dual band b/g/n WiFi and Gigabit Ethernet. I want to say thanks to TinyDeal for providing me a sample to review. 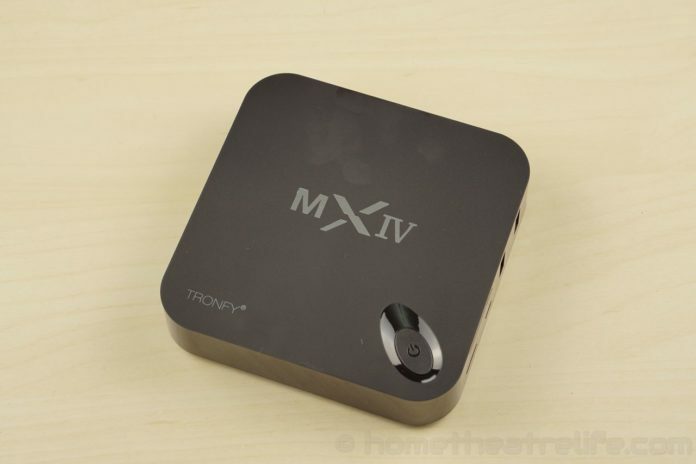 The Tronfy MXIV Telos re-uses the case seen on various Android TV boxes such as the MXIII. I looks basic, but the stylised power button and LED on the top add character. The ports are located on the right side and rear of the unit. 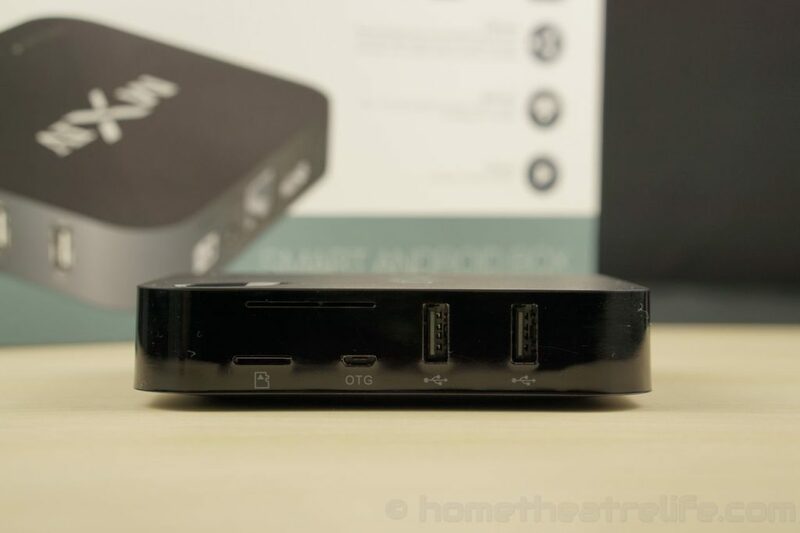 On the side, there’s 2 USB 2.0 ports and a micro SD card slot. 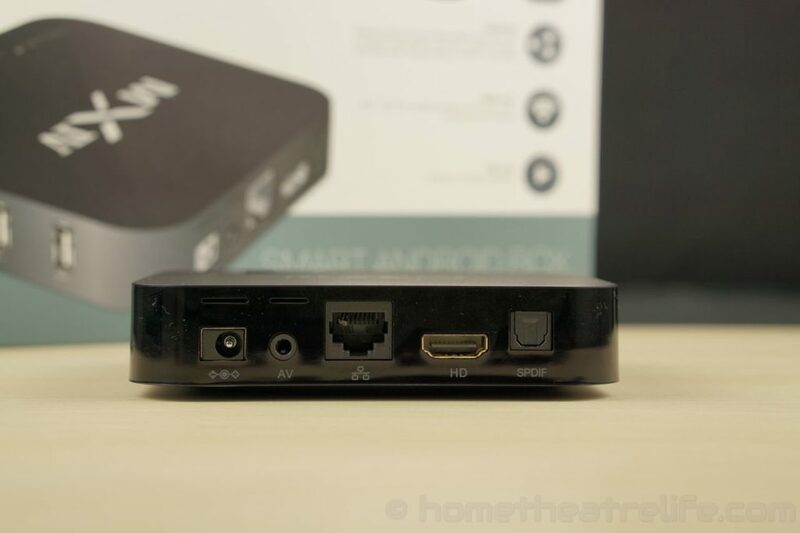 The rear features DC in, optical audio, Ethernet, HDMI and another USB 2.0 port. The box is booted via the power button. Booting up the device was relatively slow at around 1 minute and 5 seconds. Resuming from standby is instant though. The Tronfy MXIV uses a skinned version of Android that’s designed to be TV friendly. It’s pretty intuitive to navigate. There’s shortcuts that you can add for your most used apps, which is handy. Performance whilst navigating Android is great and I didn’t experience any hitches. It’s also rooted out of the box. 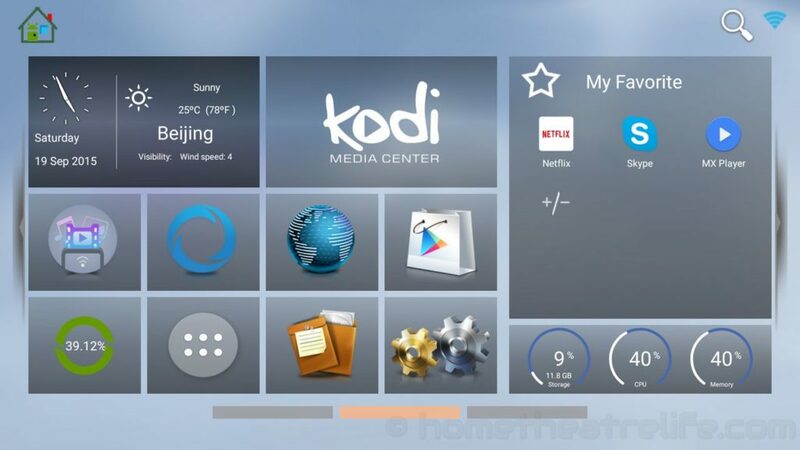 The pre-installed version of Kodi 14.2 is configured with various TV add-ons for video streaming sites and a few other useful additions. A quick video playback test in the pre-installed Kodi saw my 1080p and 4K H.264 samples play fine. My 1080p HEVC sample stuttered but was fine via in MXPlayer. Switching over to Kodi 15.1 from the Google Play Store saw the HEVC playback issues disappear, with the 1080p HEVC version of Tears of Steel playing fine. Wifi performance seemed decent. My 1080p and 4K samples streamed fine from an NFS share via WiFi. Gaming performance was pretty good. Jetpack Joyride was excellent. 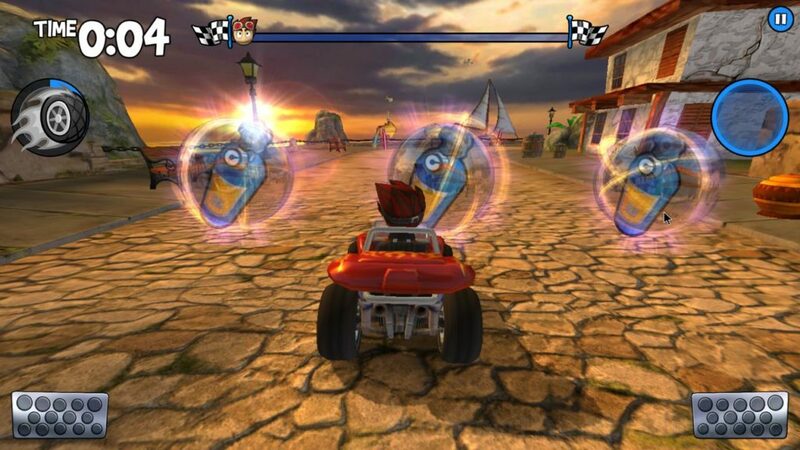 Beach Buggy Racing played well on maximum settings at 1080p, although high action scenes caused some stuttering. I initially didn’t have any problems pairing my iPega PG-9052. However, after a while Google Play Services kept crashing whenever the controller was paired so I suspect there’s a bug in the firmware here as I haven’t experienced this on any other box. A quick benchmark using Antutu achieved a score of 35006. 3DMark’s Ice Storm Extreme achieved a score of 5850. At this stage, the Tronfy MXIV Telos is has performed fairly well during my tests. Video playback was great once I switched over to Kodi 15.1 and gaming performance was fine. The Google Play services issue is of concern and hopefully Tronfy release an update before my final review goes live. Keep posted for my detailed review. 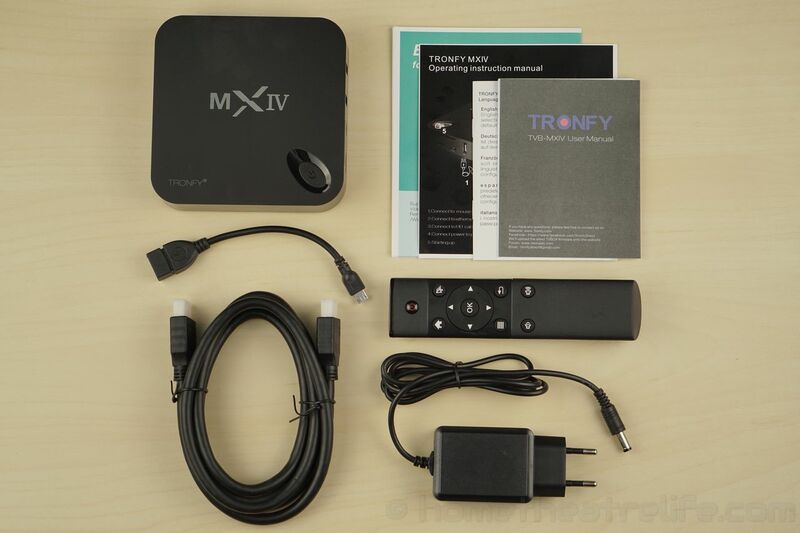 You can purchase the Tronfy MXIV Telos from TinyDeal.